I’m playing along with the current Case This Sketch Challenge today. When I saw the sketch, I decided to do some partial die cutting with an image from the Penny Black Sunny Wishes set. After embossing the image, I used a circle die to cut part of the image and fussy cut the rest. I used the same circle to cut part of a background I created ages ago using some distress stains. I then cut the rest of the panel using a rectangular die so that I had stitching all around the panel, rather than just where I had cut the circle. I adhered the panel and the image to the card base and finished off my card with a die cut sentiment from Mama Elephant. The sponsor for Day 10 was Studio Katia. 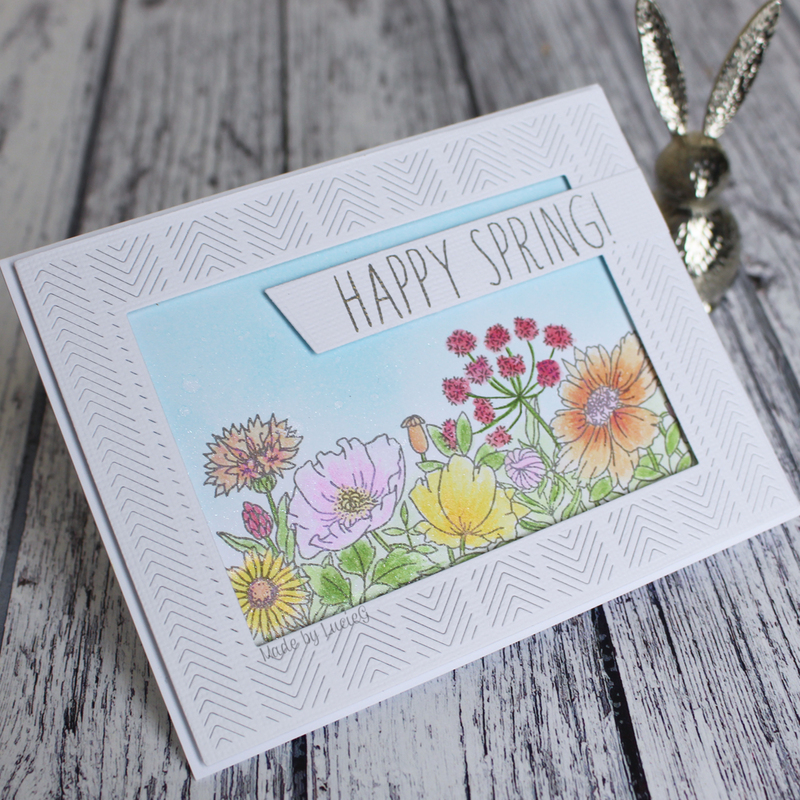 I don’t have any of their stamps but I do have a few of their dies and decided to use the Creative Stitched Window die for my take on Laura Volpes’s amazing tag. I stamped and cut the Mama Elephant Arctic Penguins and adhered them to the tag, together with a sentiment by My Favorite Things. It’s been quite cloudy here so I decided to pull out some sunny Distress Oxide inks to play with today. After creating the blended background, I added some water speckles and then die cut a Simon Says Stamp circle and sentiment. I used another scrap of card to blend some yellow ink for the fringe (cut using a Mama Elephant die). The embossed sentiment is by My Favourite Things. I’m entering this into the current Case This Sketch challenge and the Simon Says Stamp Flickr challenge (ink blending).